Environmental Door is a family owned and operated company. Since 1970, we have been in the business of taking care of your garage door needs. You can call 616-453-0164, so we can help with your garage door installation in Allendale Charter Township, and you can be sure that our techs will always exceed your hopes. Need a new garage goor? With a population of more than 20,000 people, Allendale Charter Township is a rural feel with an urban connection. Located near the major city of Grand Rapids, which offers many activities, Allendale is the home of the well‑known Grand Valley State University. The city experiences a humid continental climate, warm to hot and often humid summers, and cold winters, like most of the Midwestern. The best choice is an insulated garage door. It will keep the cold outside during winter, and the heat and humidity outside during summer. Take a look at our image gallery for ideas. You experience a problem with your garage door? Environmental Door will be there to help you. You can fill our online service form or call our office at 616-453-0164. We are serving the areas of Grand Rapids, Holland, Muskegon and more near Allendale Charter Township. Merely need garage door parts? Sometimes, garage door parts are the only thing you require. Whether you want decorative hardware to bring some country charm to your garage door or hardware parts to repair it, we have what you are looking for. Do you know that a busted panel can be replaced without changing the whole garage door? At Environmental Doors, we have solutions to answer your needs for a garage door repair in Allendale Charter Township. The Colonial home is one of the most popular styles of home in the USA. If you have this type of house‑style, we recommend opting for extended horizontal patterns like those of the Standard+ XL or Standard+ MIX. Get a product that exceeds your expectations. 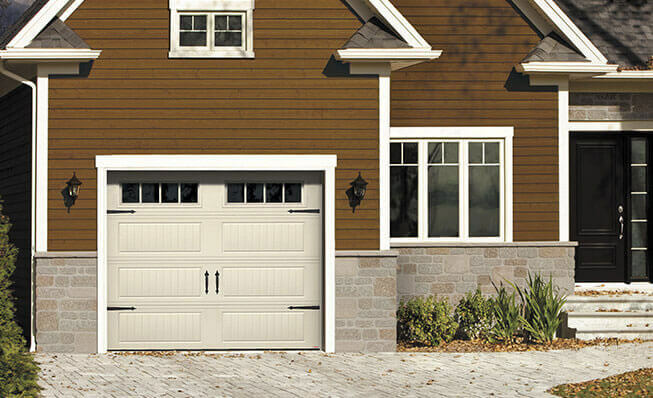 Garaga garage doors are energy efficient, strong and constructed with long lasting components. What is a great garage door without a great garage door opener? At Environmental Door we use the best products, therefore we work with LiftMaster’s products. They make reliable garage door openers that can be used with residential, commercial and even industrial garage doors. Our specialists will be glad to help you make the right choice for your garage door opener, following your needs and budget. Tallmadge Township, Polkton Township (City of Coopersville), Robinson Township, Blendon Township and Georgetown Township.